We believe performance is about so much more than the power of a vehicle. It’s about pure experience: physical and emotional. We’re committed to creating amazing experiences. Those that ignite senses, stir passions, elevate skills, and connect the driver to their vehicle and the road. F Philosophy is the name we’ve given to this commitment and point of view. So that whenever you experience a Lexus F model, your driving pleasure is heightened. How do you create cars that privilege unique and exhilarating driving experiences? You conceive and refine them on the race track. We test our vehicles in the very same spots where the icons of the racing world raise heartbeats, break records and claim victory. The majority of our testing work is carried out on Japan’s legendary Fuji Speedway. One of the world’s most challenging race tracks, it’s where the ‘F’ in F Philosophy is drawn from. Testing also takes place in Europe, on the famous Nürburgring in Germany. A Nürburgring Edition of the LFA paid stunning tribute to the location. It's exceptional, and exceptionally rare. Just 50 vehicles were ever produced. The new Lexus LC luxury coupé made its high-profile debut at the annual 24 hours of Nürburgring race, too. It was unveiled in the pre-race Prologue parade. At Lexus, testing is respected as a prized skill and art form. For us, it lies at the heart of performance. Intimately connected to craftsmanship, it’s overseen by our Takumi Masters. Testament to the deep importance we place on testing, Akio Toyoda, Lexus President, is also our Master Driver. He gets behind the wheel of every single model, and is the final judge of its performance. Principally, he focuses on the emotional journey he experiences with every car. Does it move him, and will it move you? The Lexus LFA is a supercar in every sense. It continues and intensifies our heritage of race-led innovation. A pure example of ambitious vision expertly realised, it reflects a slight ‘mad streak’ in our passion which pushes us forward to new limits. The LFA is where you’ll experience the fullest expression of our desire to create the ultimate connection between car and driver. But its revolutionary spirit and features also deeply influence the other vehicles in our range, including our F models. What begins with the LFA soon finds its way elsewhere. 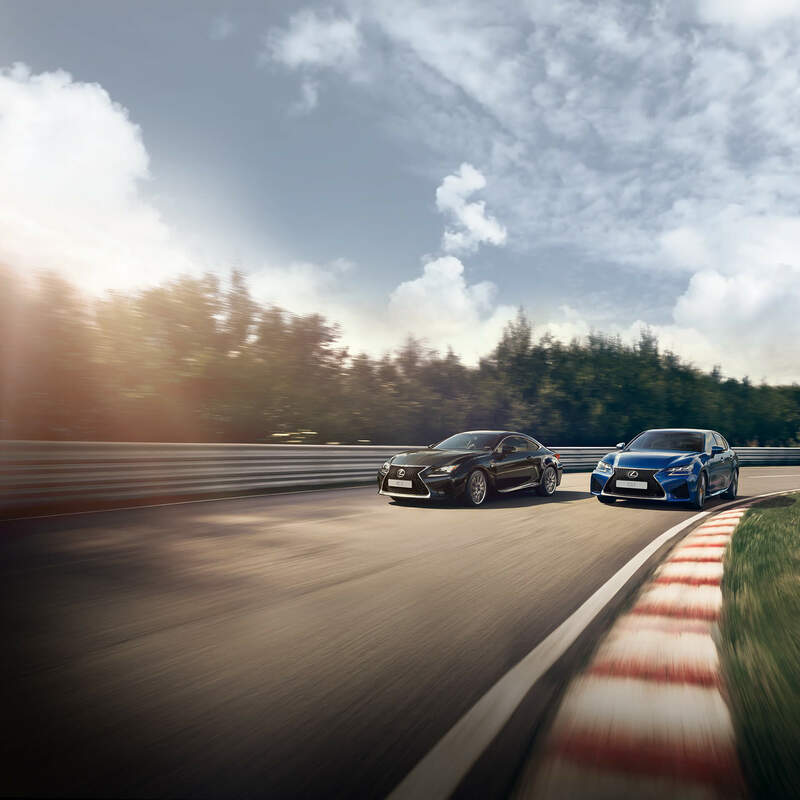 We chase the finest, most exhilarating performance across the entire Lexus range. To do so, we’ve made the race track our innovation lab for F models. We chase the finest, most exhilarating performance across the entire Lexus range. To do so, we’ve made the race track our innovation lab for F models. All our F Models bring you the pinnacle of passion and performance. They deliver a pure driving experience, perfectly expressing our F Philosophy. With F SPORT, enjoy a tantalising taste of F on a Lexus model of your choice. Witness it elevated with design enhancements and subtle suspension tuning, for a sportier experience.